To restore databases as of the latest available state. 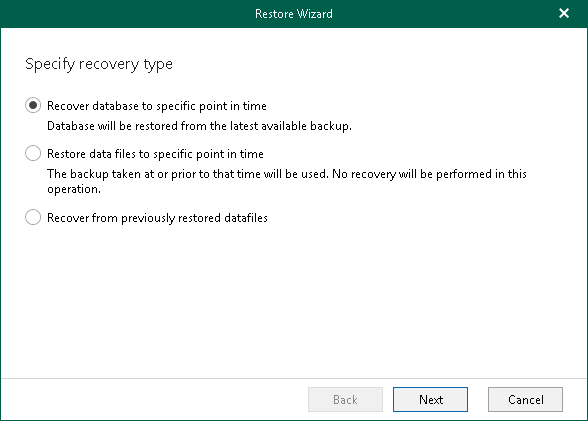 To restore only datafiles as of the specific point-in-time state without applying log files. To apply log files to restored datafiles.